According to Wikipedia the original Voltron was a version licensed from these Japanese cartoons: Beast King GoLion and Armored Fleet Dairugger XV. The American producers didn't have any translators, so they just made up a plot and gave it all new dialogue. It was a hit. If you think this is a cop-out post, you are right. C'mon now, I had to come up with something. I don't watch mech-anime. I like things with samurais and ninjas and warring clans and spell battles. I like things with vampires and demons. I really, really like shows with Shinigami like Bleach and Descendants of Darkness. Also, I love high school melodramas/comedies. 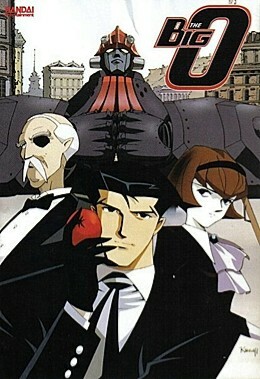 I think the only other mech-anime besides Voltron I have ever watched was The Big O with its crazy Christian symbols and plot, and I only watched that because it was on at like 3am when I used to work overnights years ago. I'm not really even sure what qualifies as mech-anime. Maybe I've been watching it all along. I would love suggestions.